Kesh and Monica married in a traditional Sikh wedding ceremony at the Guru Ravidass Gurdwara in Birmingham. The couple both got ready at their parents’ homes separately before heading to the Gurdwara. Kesh wore a traditional Punjabi Groom’s Sherwani outfit in gold with red details. Monica opted to wear a traditional red Punjabi Bridal outfit. We absolutely loved the co-ordination of all the bridesmaids and main ladies of Monica’s family, who all wore gold and pink Indian party outfits – Salwaar Kameezes. They looked like Monica’s Bridal Army! Before heading to the wedding ceremony, Kesh stopped by Monica’s parents house to present Monica a Mangalsutra (a gold marriage necklace). The couple also exchanged Jaimalas (flower garlands necklace), before Kesh headed off to await his Bride at the Gurdwara. 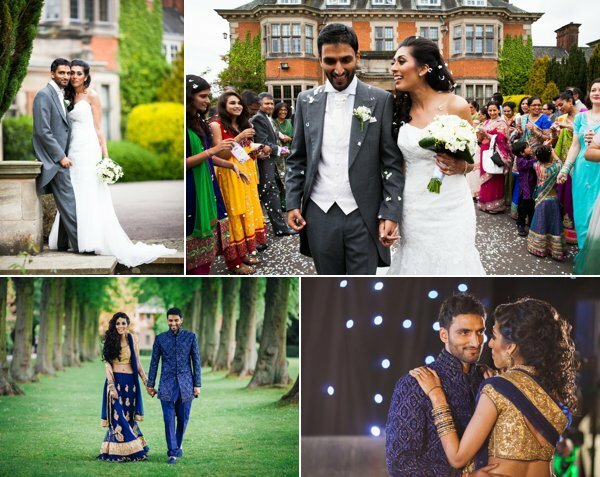 Once the couple completed their 4 lavaans, which symbolises the completion of the marriage, they headed to their reception venue – Supreme Banqueting Suite in Birmingham. The couple had a newlyweds photoshoot around the small garden feature at the reception venue, before they heard off to get changed into their party outfits. This gave our team a chance to capture footage and photographs of guests mingling and of the decor in the reception venue. My word what a stunning cake! The couple opted for a 4 tier wedding cake, lavish black, gold and pink decor and Paul Nagra provided the music on the evening. Before the Newlyweds made their grand entrance into the reception they had another quick photoshoot outside the venue in their new party outfits. Kesh looked suave in his 3 piece suit while his wonderful wife Monica stunned in a gold and red lengha outfit. The couple headed straight to the cake table once they entered their reception. After cutting the huge cake they took to the dance floor for their first dance as Husband and Wife. Once their first dance had finished, guests joined them on the dance floor to get the party started. Towards the end of the party, the couple both played traditional wedding games before Monica made her get away back to her home in order for the Doli ceremony, where she says goodbye to her family as she departs for her new life with her new husband. Kesh and Monica had a short trip down the motorway to Leicester, where Kesh lives and the night ended with the arrival of the newlyweds and more games. 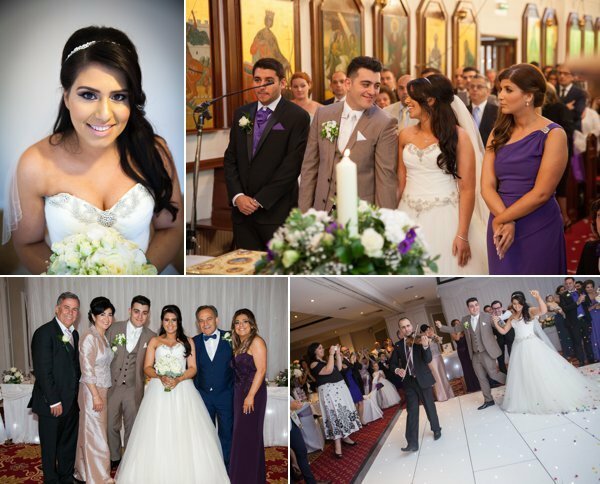 Kesh and Monica, we had such a blast photographing your wedding and your two parties! 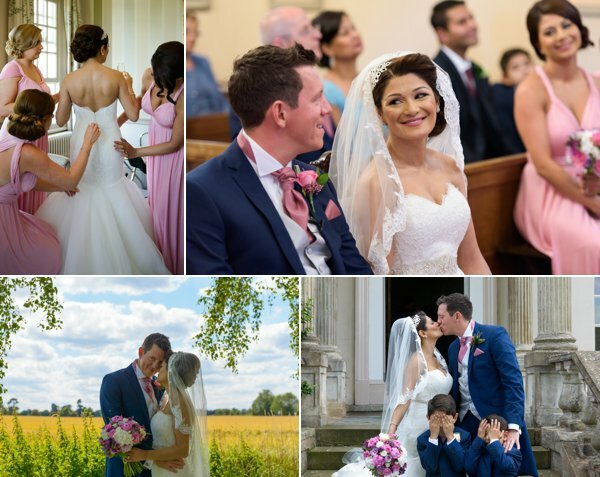 Thank you so much for choosing The Finishing Touch to capture your special moments.